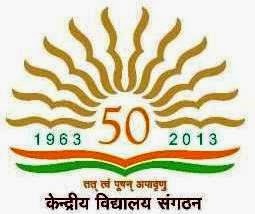 KVS Recruitment 2018 – 1017 LDC, UDC, Librarian & Other Posts:- Kendriya Vidyalaya Sangathan (KVS), New Delhi has published latest notification for filling up 1017 Lower Division Clerk, Librarian, Stenographer, Deputy Commissioner, Assistant Commissioner, Administrative Officer, Assistant Engineer, Assistant, Hindi Translator and other posts. Desirous & eligible candidates may apply online from 21/12/2017 to 11/01/2018. Age Limit as on 31/01/2018. 01. Deputy Commissioner: Second class Masters Degree. B.Ed or equivalent Degree. 5 years regular service as Assistant Commissioner. 02. Assistant Commissioner: Masters Degree, B.Ed or equivalent Degree. 04. Finance Officer: B.Com with 50% of marks. OR M.Com with 50% of marks. CA (Inter)/ ICWA (Inter)/ MBA (Finance) or PGDM (Finance). 05. Assistant Engineer: Graduate in Electrical Engineering or3 years Diploma in Electrical Engineering. 07. Hindi Translator: Master’s Degree of a recognized University in Hindi with English as a compulsory or elective subject. 08. Upper Division Clerk: Graduation. 09. Stenographer: 12th pass or equivalent qualification from recognized board. Dictation 10 mts @ 80 wpm, Transcription 50 mts (Eng) 65 mts (Hindi) (on computer). 10. Lower Division Clerk: Class XII pass or equivalent qualification from recognized board. Typing speed of 35 wpm in English or 30 wpm in Hindi on computer. 11. Librarian: Bachelors Degree in Library Science OR Graduate with one year Diploma in Library Science from recognized Institution. Starting Date of Online Application :21/12/2017. Application Procedure: Eligible candidates may apply online through the website http://www.kvsangathan.nic.in from 21/12/2017 to 11/01/2018. Subscribe our free job alert mail for KVS Recruitment 2018.